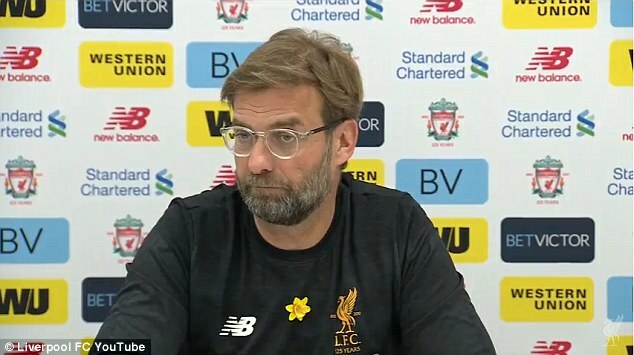 Jurgen Klopp insists he will be happy to hear people say Liverpool ‘parked the bus’ if it means they have won at Old Trafford for the first time in four years. Liverpool against Manchester United is a clash of styles with Jose Mourinho’s more pragmatic approach being countered by Klopp’s desire to see his team go full throttle for victory. Klopp has no issue with whatever tactics Mourinho chooses to employ, all he is concerned about is getting the most from his team – and he is aware a victory would allow Liverpool to reclaim second spot. Asked whether he expects Mourinho to park the bus, Klopp said: ‘Did he say it first? He was not inventor of the phrase “parking the bus”. I would never use that term. I have absolutely no problem with defending. We play a specific kind of football. Everyone makes a big thing of it. But it is all about winning. We have another history in the last few years. ‘In the last few years, they have been more successful than us. They have a specific way of playing football. If we have to defend there, we have to defend there with all we have. Nobody flies against United. It’s not a battle of systems or philosophies. It’s two very good teams going against each other. ‘When Manchester United will attack, I hope all my players are involved in defending. If someone says that is parking the bus in that moment then we park the bus. I have no problem with that. Over 90 minutes, of course we want to bring our football on the pitch as well. 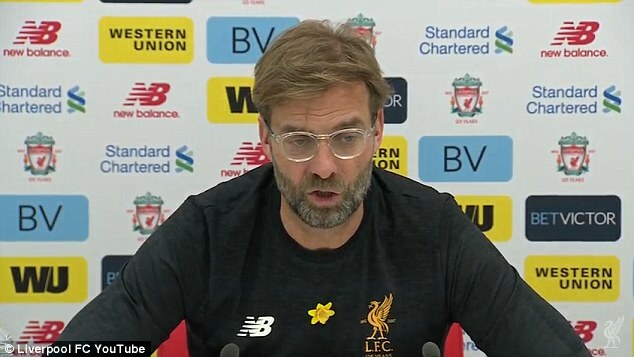 While Mourinho refused to get caught up in the emotion of the biggest fixture in English football at his press conference, Klopp – who described Mohamed Salah’s Player of the Month award for February as being ‘well deserved’ – made no attempt to play down the significance. ‘It is the biggest game I can imagine,’ said Klopp. ‘I’m really looking forward to it but it’s quite difficult as well. That is the plan – to get something. It’s a good moment to go there. But it is also an unbelievably difficult moment. Very experienced team, very experienced manager. Full-back Nathaniel Clyne is close to a return to action having not yet featured this season due to a back problem. He may have to wait longer for his chance, though, after Klopp praised the performances of Joe Gomez and Trent Alexander-Arnold in Clyne’s absence. Fellow full-back Andy Robertson is also available while Klopp added that Jordan Henderson ‘looked OK yesterday’ after a dead leg and Georginio Wijnaldum is ‘on his way back’ from illness.